Boost your energy levels safely and naturally using this unique subliminal album. Do you often feel tired, even if the day has only begun? Do you drink too much coffee or energy drinks to keep you alert? Do you become easily discouraged and depressed because you can't accomplish much? Do you wish you had more energy to play with your kids, or enjoy a long-lost hobby? Would you like to be able to boost your energy levels at will, safely and naturally? These are all symptoms of low energy levels in your organism. There are many reasons for that including your emotional or spiritual state, lack of sleep or some physiological issues, but you certainly add to it yourself by giving in to fatigue. You know how, when you feel tired and you affirm that you're tired and you can't do anything - you really can't do anything but sleep? And there are times when you can just snap out of it then your mind becomes clear in a second and you feel energized and alert. You see, you can influence the way you feel - you're able to boost your energy levels using your own will, the power of your mind. But when this state lasts for a while, you lose the will to snap out of it. You lose the belief that you can change it. That's how this subliminal album can help: it can rewire your negative attitude towards fatigue, and move you from accepting it as inevitable to realizing that it's something that you can easily change. This natural energy boost album sends positive statements subliminally into your mind. You will not hear the messages but they will go deep within your mind to stimulate you, increase your energy and keep you alert. You're aware of it. We usually give in to fatigue because we don't even realize it's there - we accept it as a natural state. Becoming aware of it makes you able to resist and to do something about it. You can manage your internal "energy supply" and turn it on at will. Your natural reflex to realizing that fatigue is sneaking upon you will gradually change from giving in to it to snapping out of it, allowing you to feel an immediate jump in energy. As you continue to use the album, you will notice that you're able to finish more tasks, to spend more quality time with your loved ones and that you're aware of more moments of your life. Your ability to control your energy levels will improve the quality of all areas of your life, allowing you to enjoy it more and more. This album is 100% safe and natural. It can be used by anyone, of any age, in any condition. Simply play the album as and when you need a quick "pick me up" and you will see your concentration rise and your energy increase. 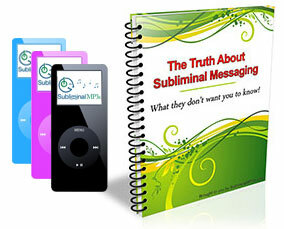 Stop damaging your body with sugary drinks, caffeine and other stimulates and use our subliminal messages instead to stop low energy from affecting your life. This album works well with our stay alert album - the difference being that this album helps to pick you up straight away, and the stay alert album works over the long term to keep you focused and alert for long periods of time.